The 2017 kindness art contest, themed “Team Kindness…Go for the Goal!” generated 561 submissions! 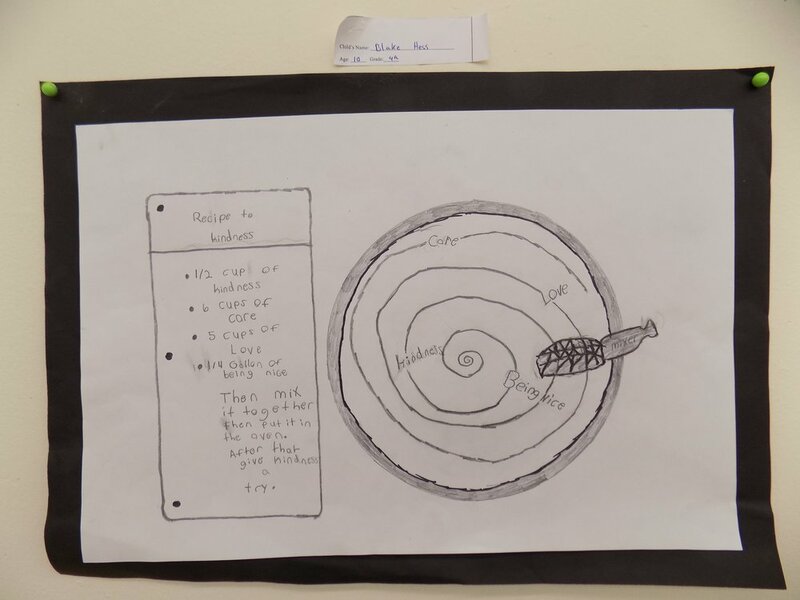 Using art and words, students illustrated how they work as a team to accomplish goals. Congratulations to our winners! Also, could you add that the contest reaped 624 pieces of art, and that the winners will be on display at the Zimmerman Center lobby at McKinley Umstadt Hall through December 10. Grand winners will have their artwork displayed in the 2018 Stark Speaks Up for Kindness calendar. We will distribute over a thousand calendars to families, schools and organizations in the county. Winners will also be recognized at the Canton Charge Student Game on January 17, 2018. Stay tuned for more information! Winners, pictured here, were recognized at the Canton Museum of Art First Friday event on Friday, October 7, 2016, where best of show (winners and runners up), and a sample of other submissions were on display for the public to view. 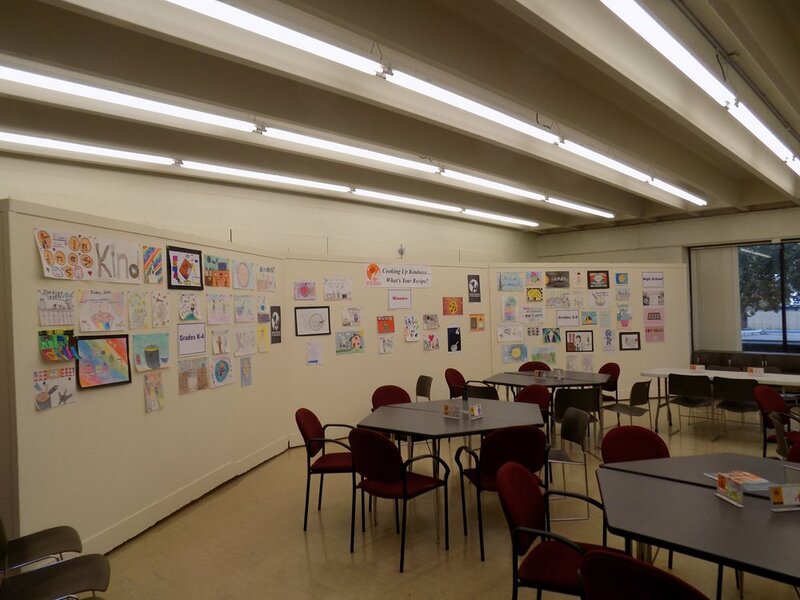 Later in October, best of show was displayed at the Little Art Gallery at the North Canton Library. 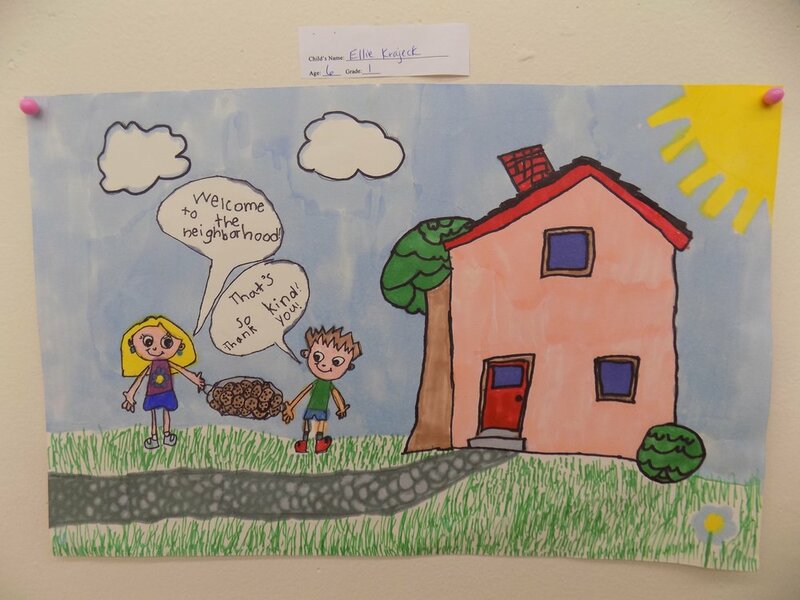 Grand winners had their artwork displayed on a billboard near their school for one month. All winners were recognized at the Canton Charge Student Game on January 25, 2017. Pictured above: Students from the Alliance Middle School C.A.R.E. Project enjoyed the student game. For many, it was their first professional athletic game. Winners, pictured here, were recognized at a One Book, One Community event at Kathleen Howland Theater, 2nd April Gallerie on November 13, 2015. Grand winners received a billboard near their school for one month. Grand winners and runners up had their artwork on an electronic billboard in Belden Village. The 2014 One Book Selection, Wonder, focused on kindness and courage. Students included a precept, or a rule saying how people should behave, in their artwork. We received 252 submissions! Our inaugural bullying prevention contest took place in winter 2014. We received over 500 submissions! 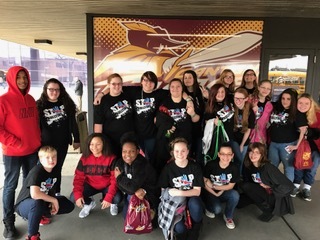 Winners were recognized at the Canton Charge School day Game on Feb. 6, 2014 in front of 3,000 students in attendance from local schools.